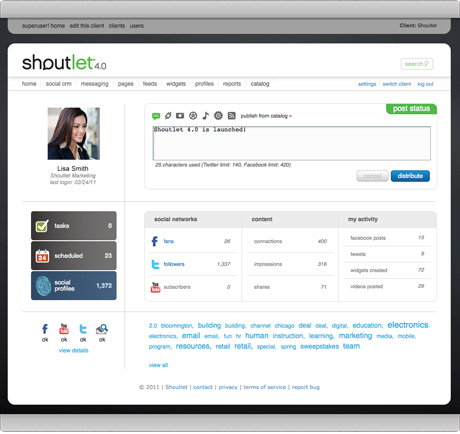 Shoutlet is a social media platform that uses intelligent data analysis to help connect companies with their core audience in a non-disruptive but highly targeted manner. Companies can build meaningful relationships with their audience based on their social media behavior. 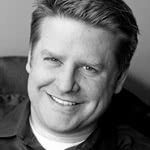 We spoke with CEO Jason Weaver about the social media revolution, why Shoutlet is more than Buffer or HootSuite, and what the future of social looks like. Our mission is to connect companies with their core audience in a way that is meaningful by way of social networks. That is a pretty broad statement, but we spend a lot of time with our customers and clients to make sure that they are communicating in a way that is non-disruptive to a social media visitor’s experience. For example, we try to make our marketing software suite part platform, part strategy in a way that is going to be absorbed by the end user in the most non-disruptive way possible. We do that by analyzing data, so that when you get offers and promotions on Facebook and Twitter and Foursquare, those things are actually meaningful to you. So we help businesses create meaningful connections with their customers. In 2004, we started a company named Sway, and we started toying with a product called Shoutlet. Officially, the Shoutlet product didn’t come out until 2010, so until then we were doing a lot of social media consulting. I recognized that there was no tool that could distribute and track social media campaigns across a variety of social networks. I was working with Miller Brewing Company and they didn’t want to just be on Facebook – they also wanted a Twitter presence and a YouTube page and an iTunes channel and they wanted to reuse as much as they could in digital media to make those connections, but in a meaningful way. Together with a handful of interns, I was doing way too much labor back then and I realized there had to be a better way, so I set out to develop the first version of Shoutlet, which we launched in 2010. What do you do differently than other players in this space? We’re an enterprise social platform, so we’re not just a Twitter management or monitoring tool, for example. We excel in an environment like the Four Seasons Hotel, who needed to have 200 hotel properties on the social web. Shoutlet allows you to pre-approve content and design campaigns, from a Facebook page to a mobile application to posting content in different languages to various social sites with one tool, all supported by archiving and management processes. Our specialization is working with companies that have multiple brands and multiple divisions or locations that they want to absorb into one management system. Certainly, we have elements of Buffer and HootSuite when it comes to our social CRM product, but that is only about 10 percent of what we do. The other 90 percent percent is made up of our social canvas, which is the probably the easiest to use social design tool on the market for creating campaigns, publishing Facebook apps, publishing mobile pages, etc. 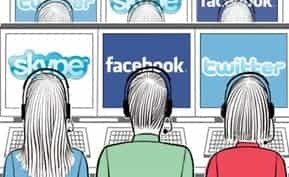 Combine that with our powerful Social Switchboard(tm) system, which is the first trigger-based marketing management system on the market, allowing you to fire off campaigns or promotions across a variety of platforms based on set events like reaching 10,000 Facebook followers. The more you use Shoutlet, the smarter your data becomes to where you can start making very unique social profiles around an individual. Data is power, so that’s what I mean when I say we’re trying to establish meaningful connections in social media. For instance, if you’re interested in buying a BMW, we are able to sift through your online data and figure out your age and your preferences and make a connection that is non-disruptive, meaning it is not going to annoy you. When you combine all of those things—the social canvas design tools, the social CRM stuff, the social switch board, the trigger-based system, the profile data—I think we are best in class for enterprise social software. You touched upon this earlier, but what does your ideal customer look like? Our ideal customer is probably in retail or manufacturing. Rayovac is a big customer of ours. So is Kohler. Then we have retailers like Burger King and McDonalds. Regulated businesses are also good for us too, like banks, insurance providers, and hospitals such as Liberty Mutual, American Family Insurance, Zion’s Bank Corporation, and the Center for Disease Control. They rely on us to do cross-departmental communication because we are 100 percent SOC2-compliant, which again is very different from a tool like Buffer or HootSuite. We have about 100 employees right now. We are headquartered in Madison, WI, but we have satellite offices all over the country and a fully staffed office in New York City and London. All our developers are in Milwaukee. Since you’re dealing with big brand names, what do your sales cycles look like? Every sale cycle is different. Sometimes a customer like Lands End comes in and says, “We are making a decision on a social platform and we need to sign the PO today.” Typically, however, the sales cycle is 60-90 days. We always start with an assessment to make sure that the company is a good fit for us, because somebody who has one marketing person just dabbling in social media is probably not ideal for us. Where do you feel your segment is headed? Where do you see it in 5 years? A couple of interesting things are happening right now. We just announced a Foursquare partnership. The whole geo-social thing is going to become hot this holiday season. You will see a lot of check-in specials and so we have invested a lot of our energy and R&D into that. Over the next five years, I think we will see more email companies or social companies and their partners coming together. 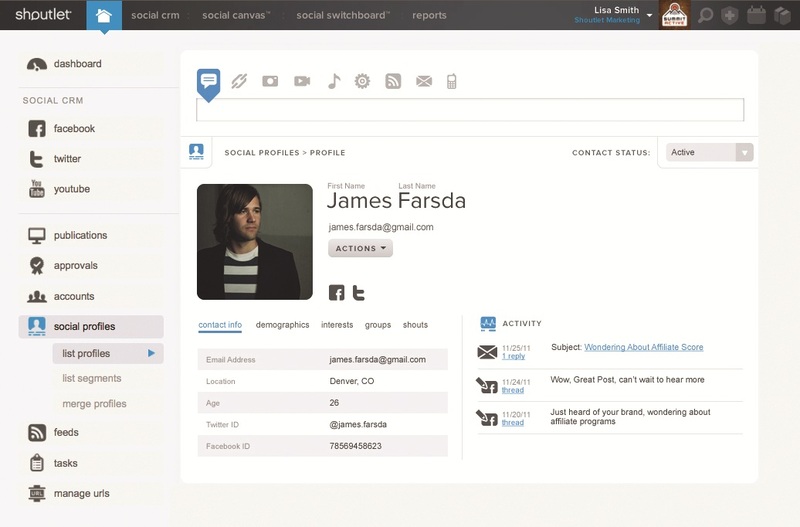 CRM companies and social companies will also partner more. 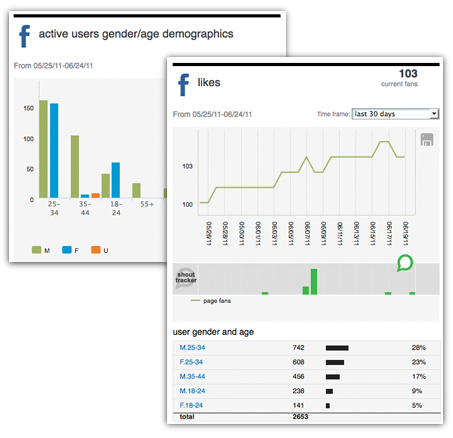 One of the big questions in social media is how to quantify data into an ROI. What is Shoutlet’s take on this? Everybody defines ROI differently, from B2B toB2C to non-profit. For a B2B client like Liberty Mutual Insurance the number of inbound inquiries they get from Facebook asking about an insurance policy is ROI. On the non-profit side, it’s all about how to increase the amount of volunteers that come out to this weekend’s fundraiser to drive donations. The easiest ROI is obviously consumer-based. It’s easy to track how many products are sold online. It’s trickier when clients don’t sell online, like Miller Brewing Company. Each time we meet with a prospective client, we get their definition of what ROI means to them and we try to work backwards from that and plan on how we can achieve those results. Sometimes it requires integration with other platforms and sometimes Shoutlet is the only tool that offers it all, so it really depends on how the client defines ROI. To what extent do you feel the social media market is in danger of becoming saturated, of people getting tired of all the new tools that are being launched every day? There is always the next kid in a garage that comes out with the next big idea. Pinterest is absolutely on fire right now, so we are integrating a lot of the Pinterest functionality into our platform, whereas a year ago, nobody really cared for it. Podcasting is an underutilized technology if you ask me. YouTube and iTunes integrations are exploding right now. Companies are putting video classes and training videos online. 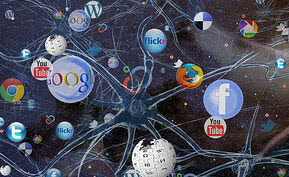 The answer to your saturation question might be that there is a natural evolution of the social web. A whole bunch of tools come out, and four or five will copy the original tools and then converge and become better. Take Friendster or MySpace, which became less important as Facebook got better. And I welcome that as a technologist, because it helps us refine our offering to our clients and become better over time. I do admit there’s an element of social media exhaustion. I have it too. I can’t keep up with all the URL shorteners and social bookmarking sites. But that’s why platforms like Shoutlet exist. It is our job to make sure that whatever the next thing is, is integrated into a platform like ours so that we can provide it to marketers. What do you think are some of the big challenges of a customer that’s trying to manage their enterprise social media? The biggest challenge I see in the market is resources. A lot of people have a keen interest in social media, but they struggle with making that investment in terms of either personnel or platforms. It’s a big commitment. When America Family Insurance first started, they had one person working on their social media. Now they have eight full time social media people. When you look at some of the slower-paced industries like banking and insurance, they are really reluctant to get in because they are worried about HIPPA compliance and all those different things. So we spent a lot of money getting SOC2-certified, and that should give those industries comfort going into the space. What are the major social media sites for businesses to be on? If you are in retail and you sell directly to customers, Pinterest is fantastic because it’s so visual. There are statistics out there of how successful big retailers are with their catalogs, and Pinterest is pretty much an online catalog. B2B brands should be on LinkedIn if they are looking to connect on a one-on-one basis or to form a group. Facebook is synonymous now with Google+, so you have to be on it, whether you’re B2B or B2C, whether you are selling $150,000 semi-truck or a pack of matches. Twitter is more direct response stuff, so it’s more beneficial for retailer marketers and people that do direct mailings like American Girl. And as I mentioned, YouTube has some fantastic case studies of B2B marketers putting content out there now. What do you personally find most exciting about Shoutlet? It changes all the time. We just launched our Foursquare integration last week and I was like a kid in candy store playing with it. It’s fantastic. We have some more new features coming soon as well as other integrations. I have worked for a lot software companies as a product manager or director of marketing and we’d have a standard updates maybe twice annually. At Shoutlet, we move at seven times the speed of normal companies. We say we are working dog years here. I can come in tomorrow and there’s some major announcement with Twitter or they have changed some API and we have to drop everything to go work on that. It’s scary but it’s exciting. It keeps us fresh. The program, marketing, and sales teams are at the top of their game because they always have to be prepared for the next big thing. Who do you find interesting in your market segment right now and why? Evernote is just fantastic. It’s one of those things that once you use it, you can’t go away from. Pinterest is one that I am keeping an eye on. Asana. Collaboration in general is going to be key. Looking for more information? 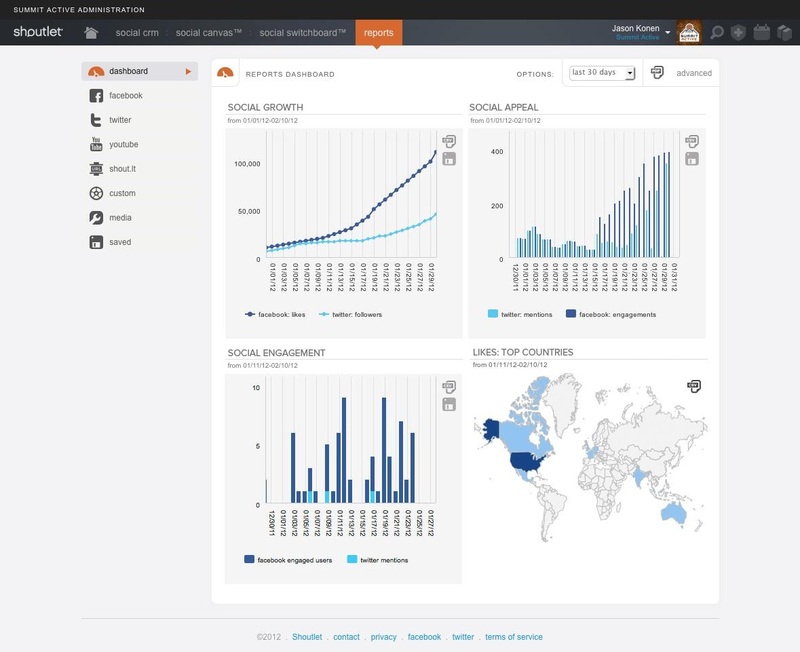 Our Top 5 Social Monitoring Tools report for an up-to-date comparisons of some of the leading social monitoring tools on the market today.